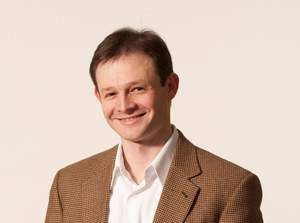 PARSIPPANY, NJ--(Marketwire - April 22, 2010) - CommonHealth today announced the promotion of Boris Kushkuley to president of Qi, its full-service digital group. Dr. Kushkuley advances to his new post from his prior position as general manager. CommonHealth (www.commonhealth.com) is the world's leading healthcare-communications network and a WPP (NASDAQ: WPPGY) (www.wpp.com) company. In his new role, Dr. Kushkuley will maintain primary responsibility for Qi and will continue to drive the development of and evolve Qi's innovative e-marketing solutions and strategies in all areas of electronic media, including the Web, CD-ROM, kiosks, DVDs and custom applications. Additionally, Dr. Kushkuley will further foster new business initiatives and continue the expansion of Qi's scope of work and client base. "Boris has been with Qi for nearly seven years, and since he took the helm in 2008, the group has tripled in size and added a state-of-the-art in-house video production and post-production media lab. He has a keen understanding of the interactive world and how the ever-changing landscape affects our clients and the pharmaceutical industry," stated Marc Weiner, managing partner of CommonHealth. Equipped with a Ph.D. in biophysics and more than 16 years of management in digital technology, marketing and e-CRM, Dr. Kushkuley has an extensive history of hands-on information technology systems development and infrastructure, and an expansive knowledge of both the health and science arenas. CommonHealth comprises Qi, Altum, Carbon, CommonHealth Kyowa, Conectics, Earthborn, EvoLogue, Ferguson, HLS, MBS/Vox, ProCom, Solara and Valos. The organization also maintains numerous partnerships both within and outside of the WPP network of companies.